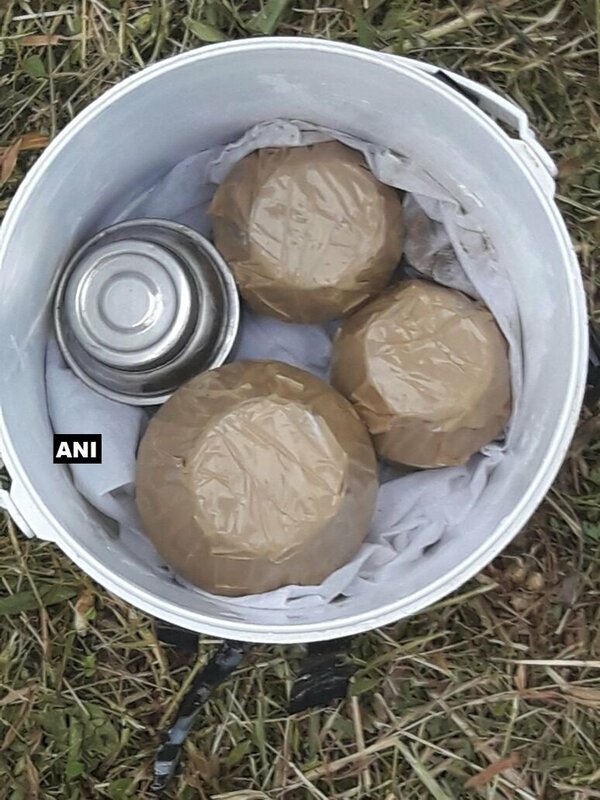 Seven high-explosive steel bombs have been recovered from the premises of a temple managed by the RSS in Kannur. 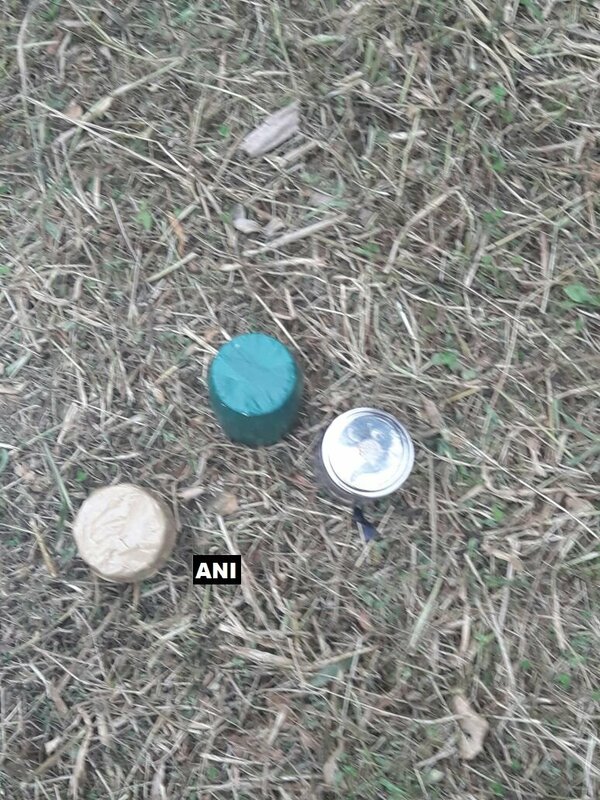 Seven high-explosive steels bombs have been recovered from an Rashtriya Swayamvsevak Sangh (RSS) local centre at Keezhur in Kannur district of Kerala. 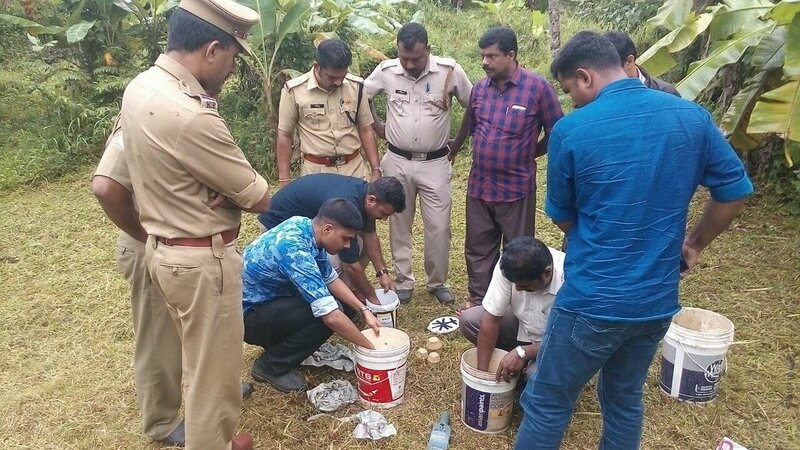 The bombs were found in buckets covered with sacks, near the Vaireeghaathakan Bhagavathi temple at Kottathe Kunnu locality, Punnad in Keezhur-Chavassery panchayat. Local sources who talked to Newsclick said that the temple is managed by the RSS. Last year, the temple was the concluding spot for the ‘Shobha Yatra’ (procession) organised by Balagokulam, the Sangh Parivar organisation for children. The bombs were found by workers who were clearing shrubs in the area on Thursday, 7 September. A team consisting of Iritty Sub Inspector P.C. 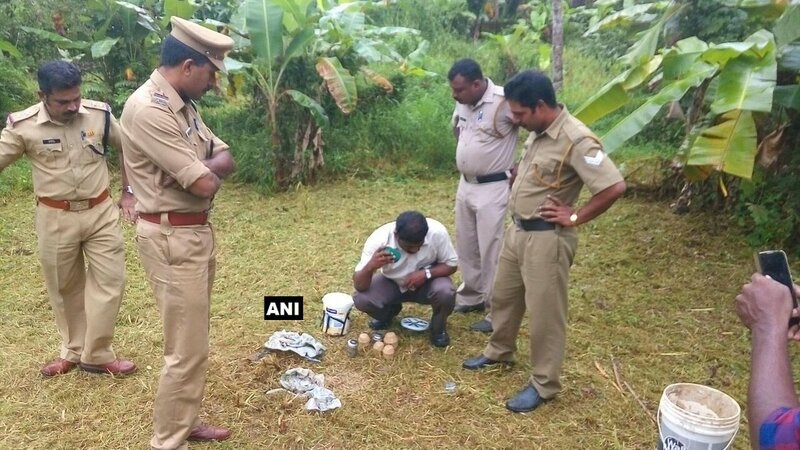 Sanjay Kumar, Assistant Sub Inspector KK Ragesh, and Bineesh, Jithesh, Ranjith and Sreegith from the Kannur Bomb Squad reached the spot and neutralised the bomb. On examination, it was discovered that the bombs were made recently. Last year in August in the run-up to Sri Krishna Jayanti celebrations, Deekshith, an RSS worker, had been killed while manufacturing crude bombs at Thalassery in Kannur district. The police had recovered a big cache of weapons from his house. Poonambath Pradeep, Deekshith’s father, is a BJP leader from Kannur. Deekshith’s brother Diljith was a candidate of the BJP-led NDA in the 2015 panchayat elections in Kerala. Several incidents of RSS workers being killed or being caught while making bombs in the run-up to religious festivals have occurred in the recent years. Temples with managing committees led by the RSS are often used by the Hindutva outfit as centres for arms training and ideological propaganda. Political observers say that the attempt of the RSS has been to foment communal tension by indulging in acts of violence and then blaming it on people belonging to minority communities. In March this year, RSS workers had thrown bombs at devotees in the premises of Nittukomam temple at Ampiladu, Koothuparamba. In spite of such activities by sectarian outfits, Kerala has remained largely peaceful with one of the lowest rates of communal riots in India.